navX-Micro is a 9-axis inertial/magnetic sensor and motion processor. Designed for plug-n-play installation onto robots such as those used in the FIRST Technology Challenge (FTC) and the FIRST Robotics Challenge (FRC), navX-Micro helps build better robots by adding sophisticated navigation capabilities. navX-Micro is a must-have add on to any robot control system, and includes free software libraries, example code and many more features. 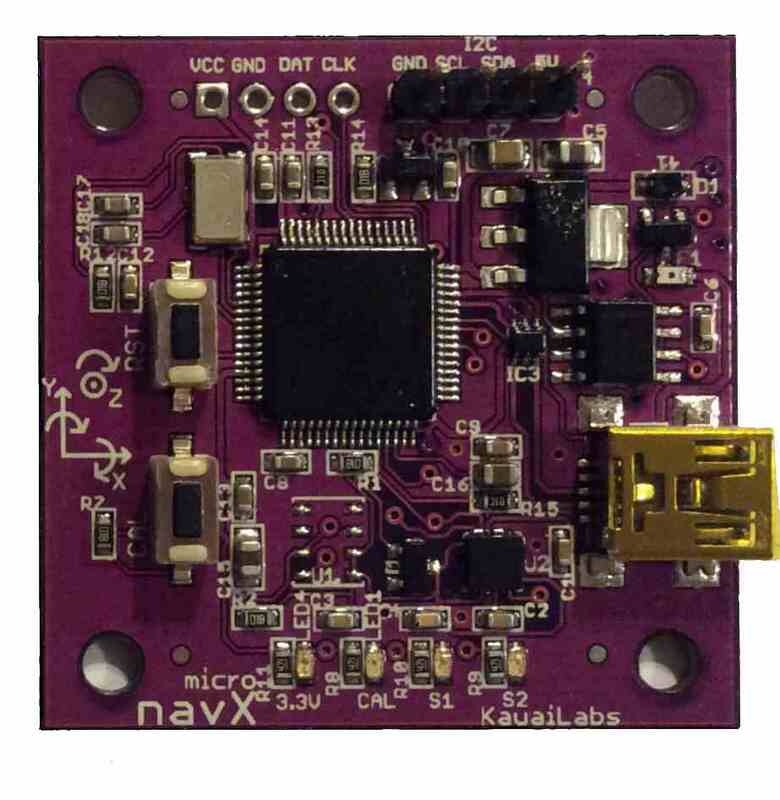 navx-Micro also works with the Kauai Labs Sensor Fusion Framework (SF2) to provide even more advanced capabilities.